Established in 1999 as a subsidiary of Sunonwealth Electric Machine Industrial Company, Ltd., Sunon Inc. is devoted to providing professional engineering expertise and excellent support to our customers in the U.S, Canada and Latin America. 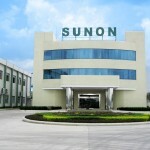 Located in Brea, California, Sunon Inc.’s office includes a design center, a product testing lab, and a value added facility to provide support for specialized assemblies that is unique to the local market requirements. Sunon Inc’s, manufacturers’ reps, distributor sales force and customer service reps are highly trained to provide efficient order handling and to assure supply of components. Our quality engineers are here to solve customer fan and motor problems. 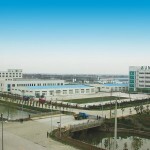 Sunonwealth Electric Machine Industrial Company, Ltd, was founded in 1980 by Alex Horng, President, as a specialist manufacturer of fans and motors. 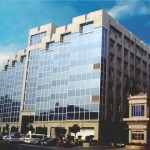 The company’s rapid growth worldwide paralleled the rise of the computer, the network communications and the telecommunications industries. 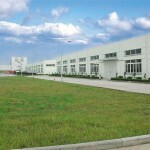 Since Sunon’s founding, the company has been devoted in developing new products and technologies. It is well known for its innovative and flexible custom design capabilities, consistently reliable products, and manufacturing efficiency. Sunon is a global company headquartered in Taiwan, with a strategic geographic presence in Asia, Europe and the Americas. With 5 regional subsidiaries, 70 distributors, and 1,000 sales representatives, Sunon is strategically positioned to offer its global partners a wide range of marketing, technical, training, and other support services. Sunon has amassed a rich portfolio of over 2157 patents. We focus and invest 8-12% of turnover each year into research and development activities. Sunon’s Invention & Innovation Center contains a acoustics & vibration laboratory and a material laboratory. These laboratories are equipped with the most advanced equipment such as Acoustics HMS, Vibration Mode Analyzer(s), IR Thermography Analyzer(s), and High Precision Thermography System(s). Utilizing the latest CAE software, we have the capability to conduct digital/analog analysis on heat flow, acoustics, magnetic circuit of motors, vibration modes, structural strength, drop simulation, modular flow, and many more. 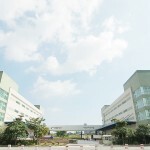 Sunon manufactures its products at four production facilities in China (Beihai, Foshan, and two plants in Kunshan) and one in Taiwan (Kaohsiung), which are all capable of accepting large, high-volume orders. Our manufacturing plants are large, clean modern facilities employing the latest in mechanized and fully automated assembly equipment. Sunon maintains an extensive laboratory and testing facility to ensure that its products meet the industry’s most rigorous electrical performance and environmental standards.